Mphasis Recruitment 2014 in Bangalore for freshers – June 2014. 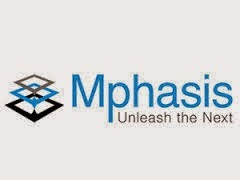 Mphasis Job Openings in Bangalore for Freshers and Experienced candidates. Mphasis Job Vacancies for Lpo Profile Position. Any Graduate freshers are eligible to apply for this position. Interested and eligible candidates can apply online through the below provided link. LEGAL PROCESS OUTSOURCE PROFILE FOR BANGALORE LOCATION. Candidate with 0-4 years of experience can apply. FRESHERS (ONLY LLB / LLM) CAN APPLY. Typing speed of 30 WPM / 98% Accuracy. Strong ability to Analyze and Interpret complex Contract terms. Knowledge in Contract and Document Review. Candidate should be able conduct Legal Research. Understanding of legal fundamentals, methods and procedures. Drafting the legal information as per the client requirements. Experience in understanding different types of legal documents. Must have knowledge about Corporate or Investment Banking products.